Many whiskey producers will highlight the fact that their process hasn’t changed in 150 years. Unfortunately, that claim is a bit out there, if not complete nonsense. Blended whiskey is particular has seen the most change. 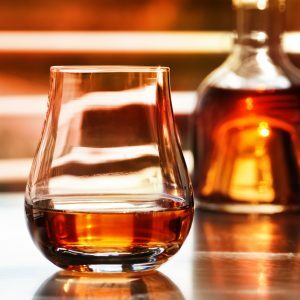 In essence, blended whiskey used to mean that it was made from the products of numerous distilleries, and in some cases it still does. However, many if not most of the distilleries that were producing the spirit 150 years ago no longer exist and many of the ones that do have tweaked or changed their recipes over the years. Let’s also not forget the vast improvements in distillation, manufacturing, production efficiency and last but not least the regulation and laws to set standards regarding materials that can be used in production of whiskey and the barrels they are aged in. No longer is the mash produced with what’s available. 150 years ago many producers actually used everything from potatoes, sugar, oats, turnips, or whatever else they could get their hands on. The end result though is a positive one. Look past the labels of old men and ancient production facilities and enjoy the smooth liquor that now has much higher standards for production methods and materials. The whiskey of today may be less “blended” but if anybody asks me, I’d much rather drink a traditional whiskey than one with turnips and potatoes!